1. Position the front crawler so that it is pointed straight ahead. 2. 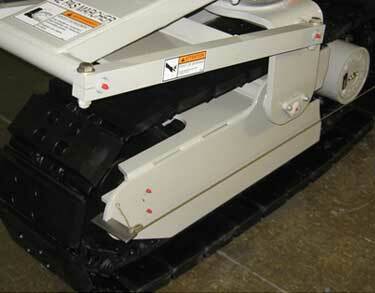 Install a string to the left of the front crawler and the left rear crawler. 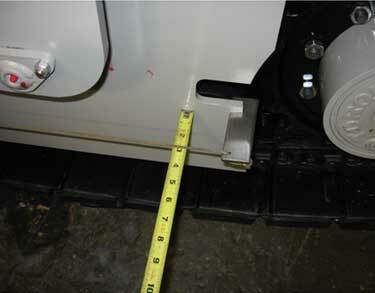 Measure the distance from the string to the front and back of the front crawler frame. Reposition the front crawler if necessary to make these two distances equal. 3. On the left rear crawler; measure the distance between the string and the front of the crawler frame and the distance between the string and the rear of the crawler frame. 4. Use the adjusting nuts on the center pivot of the scissor assembly to make any adjustments needed. 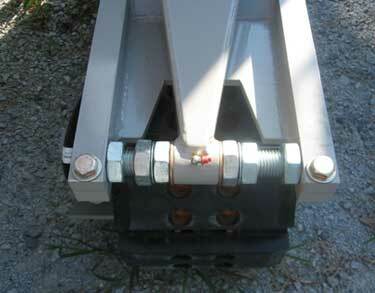 The distance from the string to the crawler frame should be the same at the front and back of the left rear crawler. 5. Now, measure from the inside of the left rear crawler frame over to the right rear crawler frame. 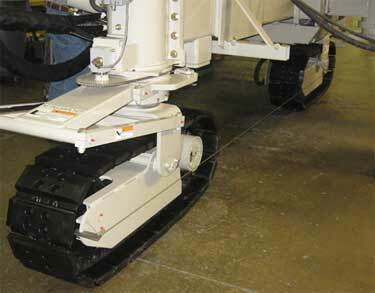 Make adjustments to the right rear crawler until the distance between the fronts of the crawler frames is 1/4 inch shorter than the distance between the rears of the two crawler frames. This will give the right rear crawler a slight amount of “tow in”. 6. Leave the center adjusting nuts each a quarter turn loose from the scissor to allow it to pivot freely. Use the jam nuts to lock the adjusting nuts in place. Check these locknuts as part of your routine maintenance.